Recently, a friend from way back found me on Facebook and friended me. I was excited to reconnect with Julie as both of our sons are childhood and college friends. 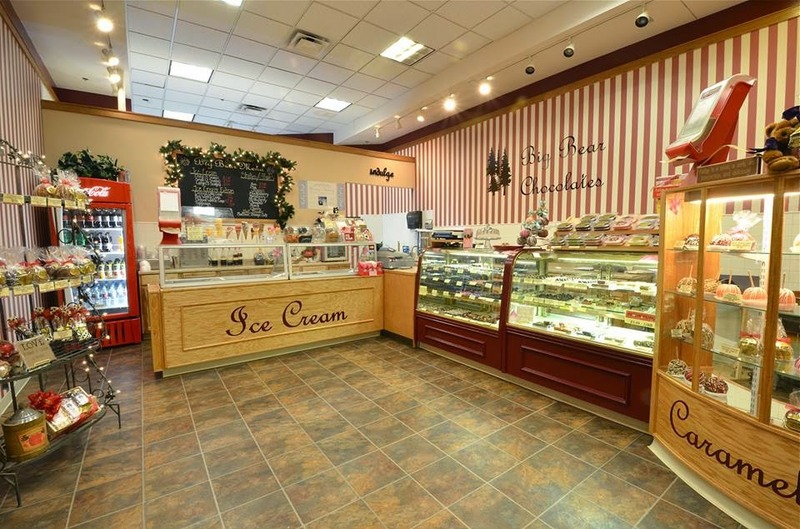 In catching up, I found that she is a chocolatier and owns Big Bear Chocolates. 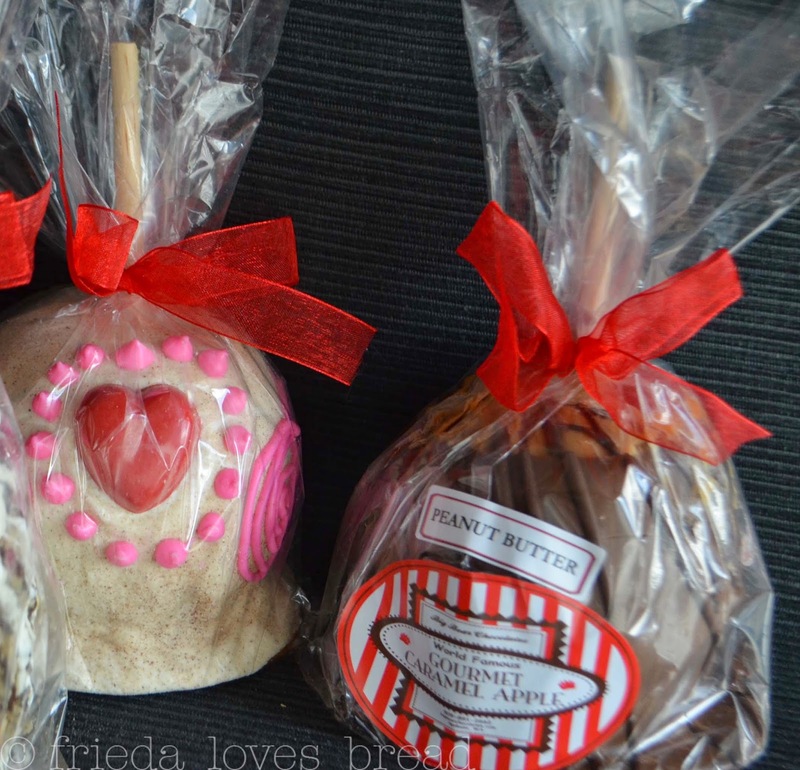 She has her own brick and motar shop in Spokane, Washington and sells these goodies through her Etsy shop online. Friends of mine have been asking me about shipping my sugar cookies. I began asking Julie questions about packaging and shipping. She agreed to be one of my testers and said, "Why don't we do an exchange?" Huh? What a sweet idea! She explained that she uses USPS flat rate priority mail and packages usually arrive between 1-2 days, depending on location. "What do you want to try?" she asked. 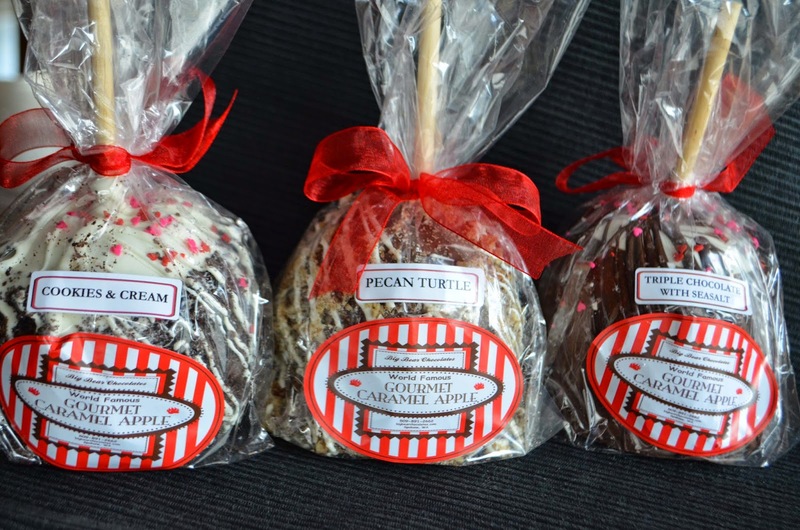 Julie makes over 20 different flavor gourmet caramel apples, fudge and offers gift basket combinations. 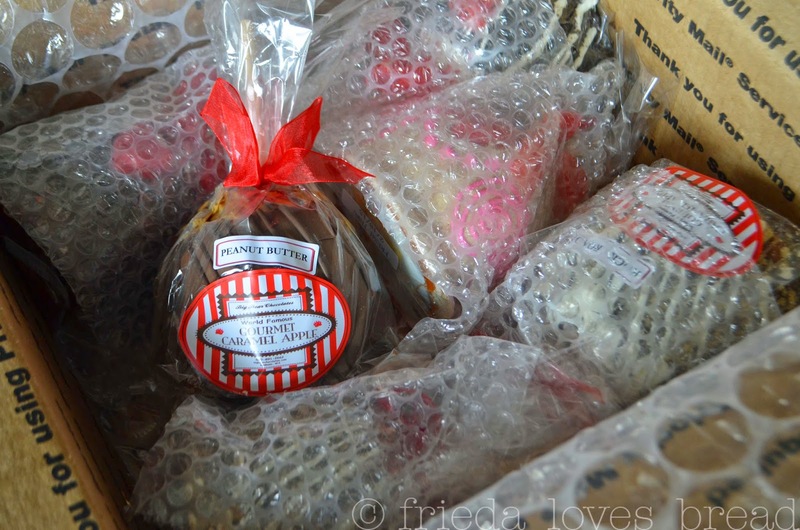 I was so excited to find six beautiful gourmet caramel apples in my delivery box! Each one was perfect, beautifully wrapped; no cracks, crumbs or damage. On the left is one of her most popular favorites: Caramel Apple Pie. The Peanut Butter tugged at my heartstrings, but the Pecan Turtle was calling my name. 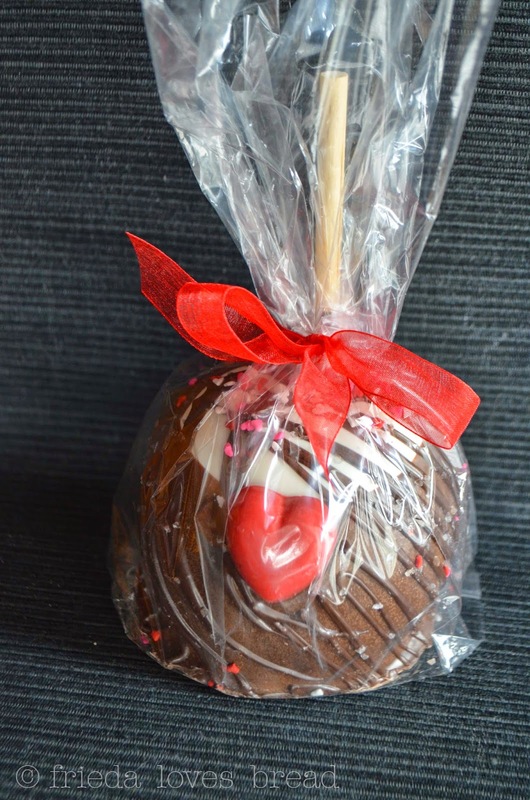 These caramel apples were decorated especially for Valentine's Day. This cut caramel apple was put in the fridge a couple of days ago (hence the slight browning), but it still tastes amazing! 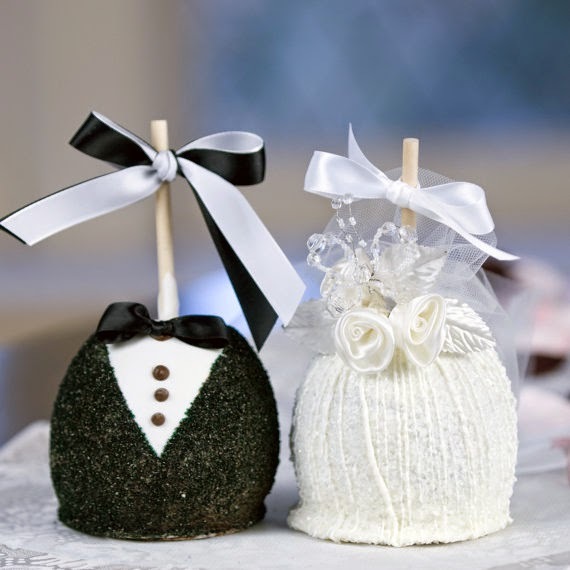 What do you think about these apples? Aren't they darling?? 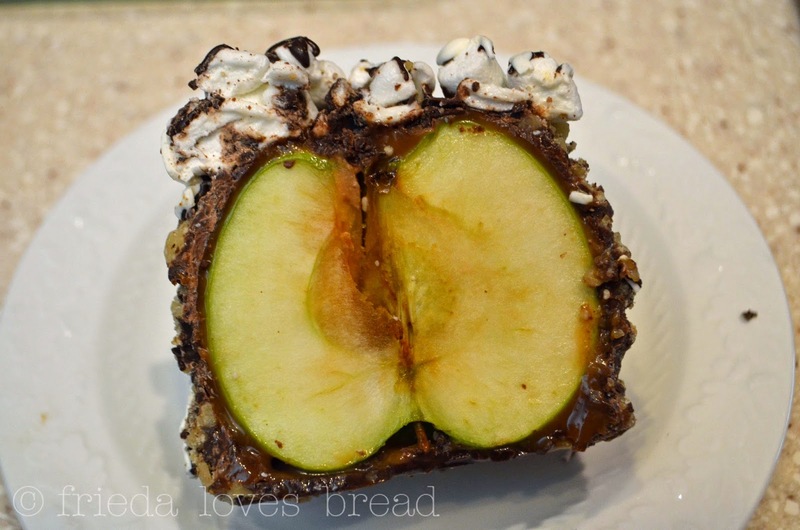 These caramel apples are wonderful for any occasion, gift giving, or simply because you are drooling and want them, like, NOW. Thank you, Julie, from the bottom of my heart and stomach ~ Your apples are everything you promised and much, much more! 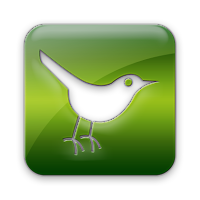 I was not given any compensation or asked to write this post. 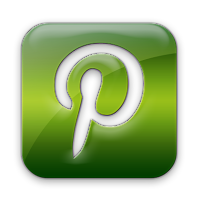 My opinions are 100% my own and I love sharing wonderful products with my readers!